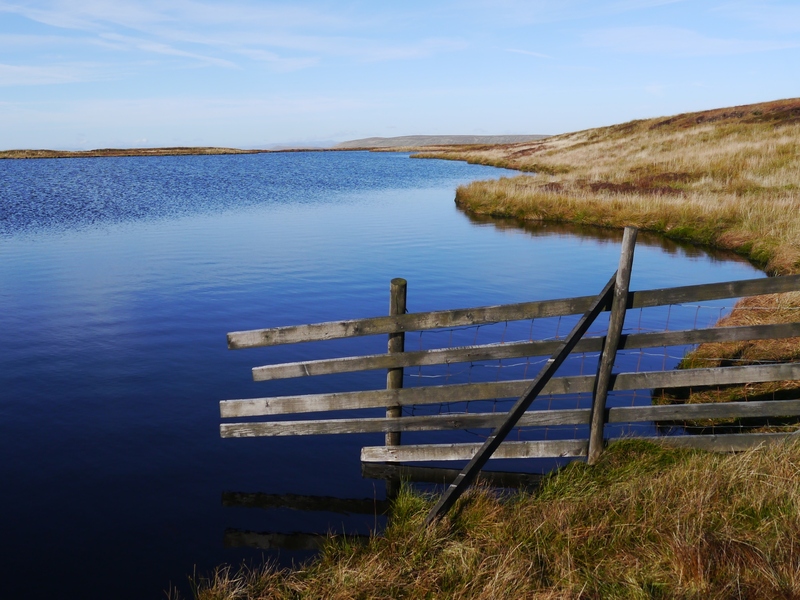 Widdale Great Tarn is the larger of two tarns located closely together a short distance to the north-west of the summit of Great Knoutberry Hill. 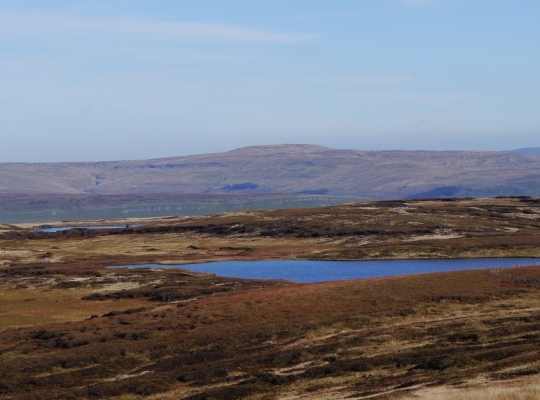 One of the larger tarns in the Yorkshire Dales, Widdale Great Tarn is also the closest of the two tarns to the top of Great Knoutberry Hill. The name of the two tarns is interesting as I’ve always thought they favoured the Garsdale rather than the Widdale side of the fell. It is worth noting though that to the east of Widdale Great Tarn there is a Tarn Gill that drops to Widdale Beck via Beldie Gill. Certainly the views favour the north and west with Baugh Fell and the summits either side of Mallerstang well seen. 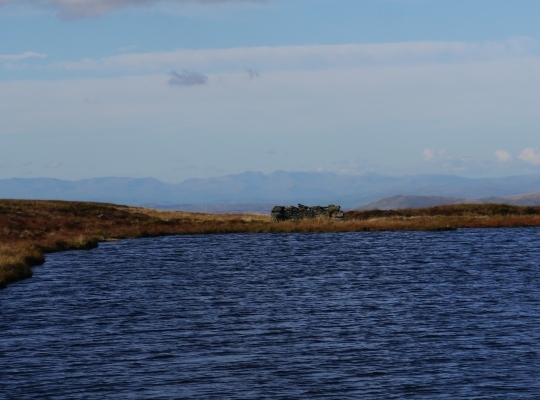 In good visibility a line of Lakeland fells can also be seen in the distance.